We use the best materials to create our luxury garden furniture. 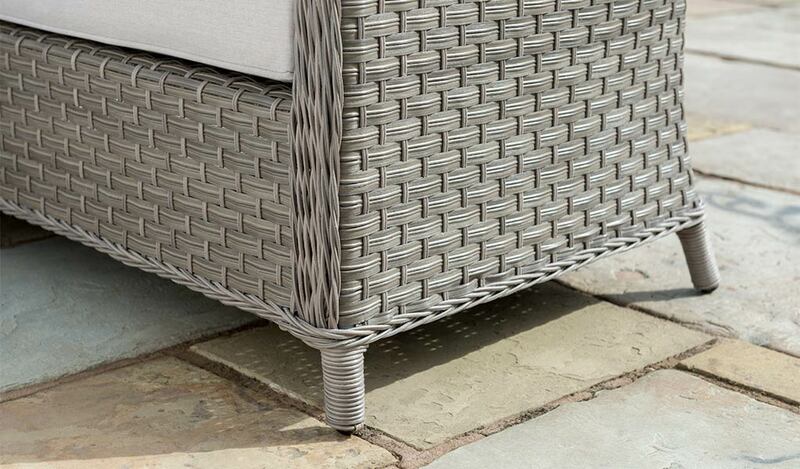 Our weatherproof wicker is handwoven round a rustproof, aluminium frame. 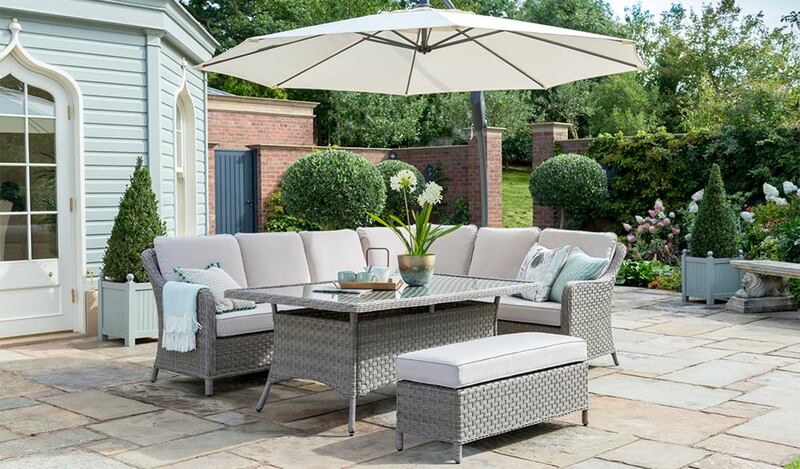 The Charlbury corner garden furniture set includes the Casual Dining, wicker garden table with a glass top set into the weave. 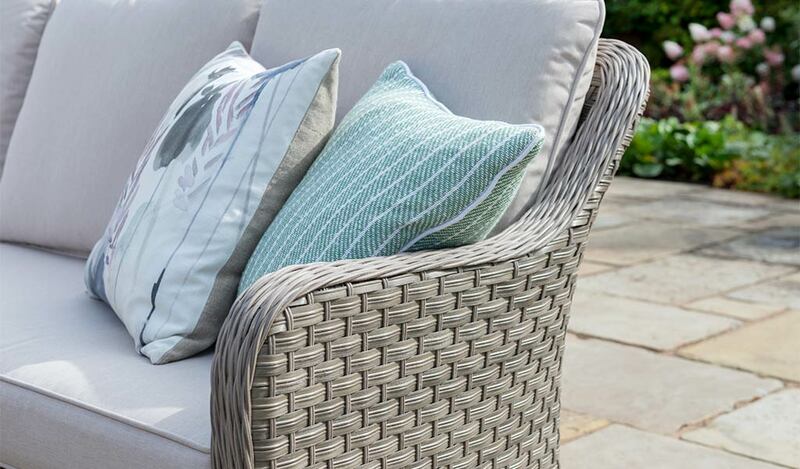 The Charlbury patio furniture has durable full round wicker on areas that see more wear. The backs and sides use a mix of flat weave and double half round weave, woven together by hand. 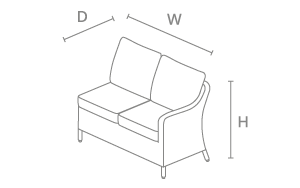 Set includes left & right hand sofa, corner sofa, 135cm Bench, 160x100cm Casual Dining table and side chair. Material: aluminium frame with wicker. 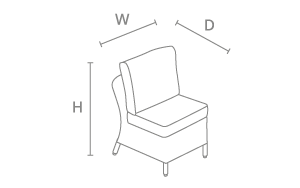 5mm full round wicker on the edges and sofa arms. 3mm horizontal flat wicker and 5mm vertical double half round wicker on the sides. 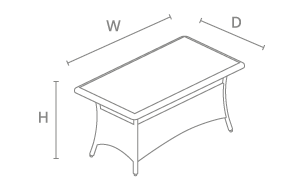 Table Top: Glass top sunk into wicker with straps to keep the weave rigid. 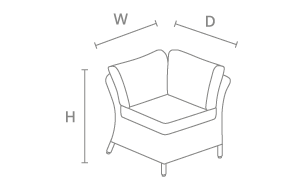 Modular design – Place the side chair between the left/right hand sofa and corner sofa to extend the sofa configuration. 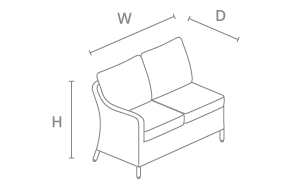 Weatherproof – leave outdoors all year round (excluding cushions). 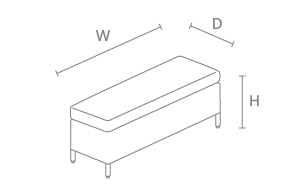 Adjustable footcaps on the table.